How many times do I have to tell you? If I've told you once I've told you a thousand times. You'll most likely recall exasperated instructions of that ilk from your parents during childhood. The F1 following doesn't really have its own authority figure, but if it did then it would be this sort of thing passing their lips with regularity. And we would have been reminded rather sternly once again today. Again in advance we thought we knew better. That we had it all worked out. 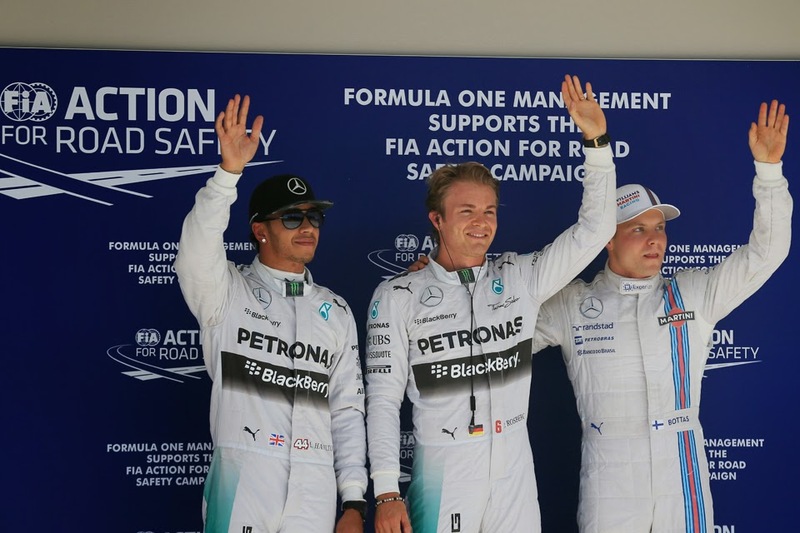 Lewis Hamilton had the momentum in the intra-Mercedes battle for the drivers' championship. He was free-wheeling straight towards this year's title. But F1 likes to catch us out. F1 in 2014 particularly. And Nico personally has reminded us more than once herein that he in ideal circumstances can match and even beat the rapid guy across the garage, as well as that he has no intention of surrendering the honours meekly to his stable mate. 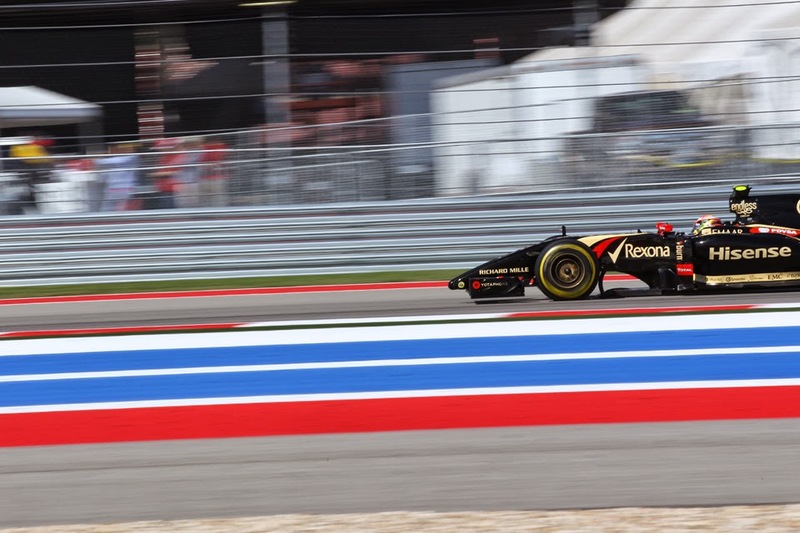 He reminded us of all of this again in his run in Austin qualifying today, prevailing decisively for pole in a quick and polished style that has been a recurring pattern on our Saturdays this season. And Nico hardly could have asked for a tougher challenge. At a track on which in its brief past Lewis has excelled and he has rarely figured, after a difficult FP3 with brake problems, and on a weekend that he simply had to deliver. Well, he faced down all of those and emerged on top with a bit to spare. Despite being the one entering the quali hour somewhat on the back foot Nico quickly established the whip hand. The shifts were subtle at first, but discernible. Lewis was on top in Q1 but needed to use soft tyres to do it. In Q2 Nico was on top properly, and now it was Lewis's turn to bemoan car problems - related to his brakes locking. Nico at roughly the same moment even showed a touch of panache by enjoying a rather frivolous run at the end of Q2 to place himself almost a full second under his team mate's best at that point. Come the vital final part it was more of the same: Nico's time initially just under two tenths better than Lewis's, and then knocking two tenths more off his best while Lewis - scrappy again - didn't improve. Pole was very much his. In so doing we got another reminder of something else about this season that perhaps we too readily forget. That in qualifying at least in 2014 Nico is the master. Indeed with two remaining he now cannot be beaten in the Mercedes head-to-head on that front. Lewis meanwhile, in a yin and yang situation, during the session itself gave an outward impression of having regressed slightly to the outer boundaries of his own bad old days - with emotional responses on the radio and losing some of his smoothness behind the wheel at the same moment. Still, afterwards his tone was measured. He had the grace to add however that 'even if that wasn't the case I think Nico was still too quick today'. The problem, and why it was impacting Lewis and not Nico, seemed something of a mystery. Lewis was hopeful but not certain that it could be sorted for the race, though Technical Director Paddy Lowe was more confident: 'that sort of issue's far more extreme in qualifying when you're pushing to the limit. In the race it should be fine' he noted. Not everything changed today though; some aspects about F1 in 2014 remained constant. Such as that the Mercs were on another planet. 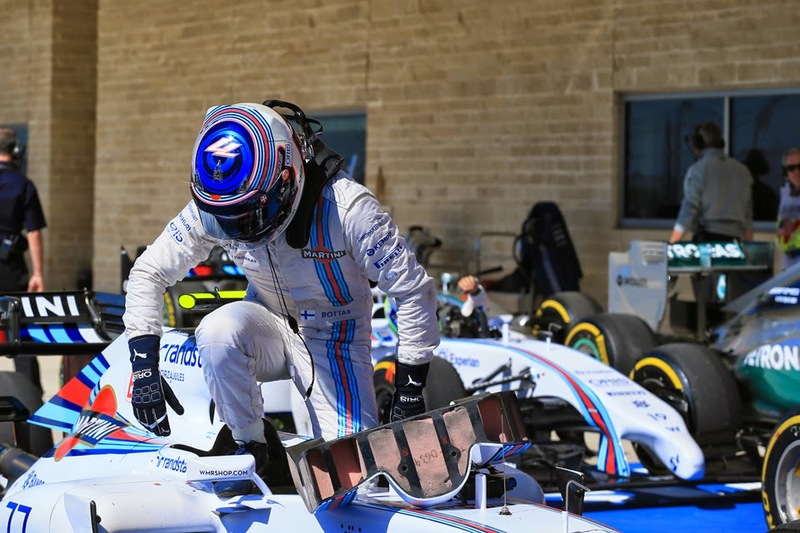 And that not for the first time it was Valtteri Bottas that was best of the rest and firmly so. His quickest mark was just half a second off Lewis's as well as three tenths under that of his Williams team mate Felipe Massa, who will line up next up on the grid tomorrow. As was pointed out too afterwards, Bottas has been present in the top three in six of the last eight qualifying sessions. In his usually understated fashion he afterwards called it 'pretty good...we love the second row'. Daniel Ricciardo too not for the first time impressed with fifth fastest time, which was just a smidgen off Massa's mark. And in a more regrettable recurring theme of this season today too the actual on-track stuff had an air of mere side show for the off-track politicking. And in another theme with lingering familiarity it was about money, and how much of those at the back are getting. Since yesterday the concept has burgeoned of a combination of any or all of the Sauber, Lotus and Force India teams boycotting the race - though as if by magic with none of them letting their fingerprints actually rest on the idea. One can certainly sympathise with their plight - I do more than most. One also can sympathise with their desperation that led them to a least air such a wheeze, however indirectly. But equally it would have been hard to support a move that would serve mainly to penalise the paying punter. F1 as we're often reminded is a branch of show business. And the number one rule of show business is that the show must go on. It was fortunate that an entertaining qualifying session with a surprising outcome took our attention away. It was fortunate too that elevated performances of Adrian Sutil and Pastor Maldonado, who'll start in P9 and P10 tomorrow following Jenson Button's grid drop, presumably precluded Sauber and Lotus sitting tomorrow out even if the threat had been a go-er. At the timing of writing however - and via whatever route - the boycott is not now happening supposedly. It did though draw attention to the weighty issue, which possibly was the point all along. Nico meanwhile had other matters in mind when looking ahead to the race: 'It's (today) one step in the right direction for sure, (for the race I) need to get in there now, it's still in my hands and just up to me to do a good job...unfortunately I don't get any points for qualifying! It's the race that counts and I've got to nail the next three.' 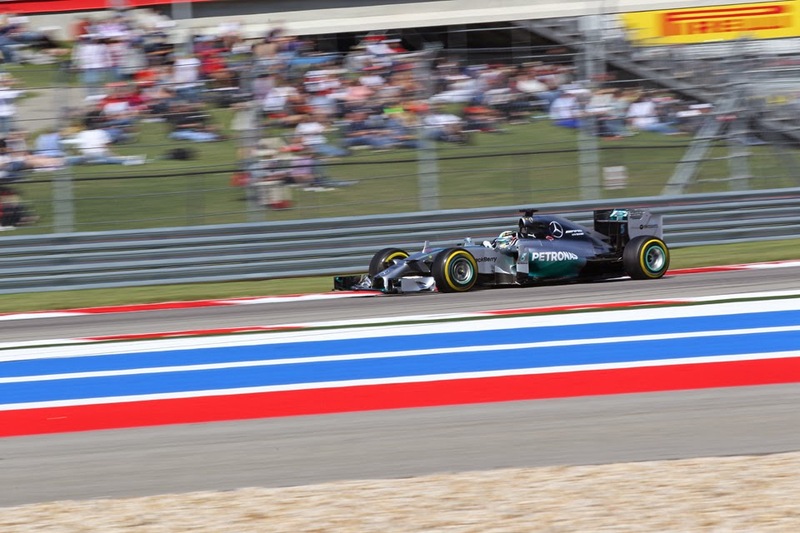 He noted too that the handling of the W05 changes beyond recognition with the Texan wind direction. And that the wind is coming from a direction tomorrow not experienced in the weekend thus far. As for Nico himself, of course his record of nine poles and just four wins shows where his (relative) problems are this campaign. As he acknowledged, if he had to deliver today then he has to deliver tomorrow too, indeed even more so. Turning the title around more broadly remains - to use that modern parlance - a 'big ask'. But whatever is the case in Austin today he showed us that the certainties we had are not quite as certain as we had assumed.